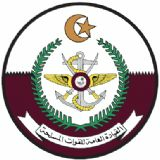 DIMDEX is a unique opportunity to meet and network with senior representatives from Qatar's Armed Forces as well as VIP delegations from the Middle East and around the world. Furthermore, with this extensive exhibition attracting hundreds of industry vendors this is an ideal opportunity to build partnerships and examine the competition. The three day event comprises an exhibition, conference, senior staff delegations and visiting warships and will focus on naval & maritime security equipment procurement and support services.